Man Up continues its mission to break the silence around men's mental health with a powerful ad campaign that tells men it takes balls to cry. The ABC kicked off a national conversation about Australian male suicide with its Man Up series and Triple M's Gus Worland will continue to share the message with an ad campaign. 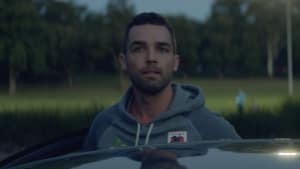 The spot works to move past the outdated notions of masculinity that is killing Australian men. It aims to communicate with everyday men, encouraging them to talk and express themselves especially when they are feeling down. Man Up is encouraging people to share the ad, speak up and encourage others to speak up, and most importantly listen when they do. The ad joins the ManUp.org.au website to form a wider social campaign. The three-part documentary series was funded by the Movember Foundation and University of Melbourne. You can catch up on the series on iview now.